Keith A. Kelly, MD, Professor of Surgery Emeritus at Mayo College of Medicine, passed away in Seattle on July 25, 2017, surrounded by his family. Dr. Kelly was born on November 29, 1931 in Chicago, Illinois. He received his undergraduate degree from the University of Illinois, and his medical degree from the University of Chicago. He completed his surgical training at the University of Washington in 1965. He was a captain in the U.S. Air Force (1958-60) serving in England as a medical officer. After completing a research fellowship at the University of Amsterdam in 1967, he advanced through the academic ranks at the Mayo Clinic to become Professor of Surgery, Mayo Medical School, in 1979. During his career at Mayo, he served as Chair of Surgery at Mayo Clinic Minnesota (1986-1993) and at Mayo Clinic Arizona (1993-1999). Dr. Kelly was also an accomplished scientist, studying gastrointestinal physiology, and used his basic science training to advance techniques in surgery. He was a principal investigator and trained over 40 fellows in his research lab. He received the Mayo Foundation Distinguished Investigator Award in 1989 and the Distinguished Educator Award in 1997. 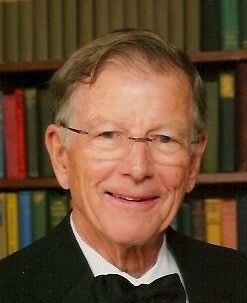 Dr. Kelly served as a Director of the American Board of Surgery from 1989-1995 and held many other national positions. His research was funded by the National Institute of Health from 1986 to 1995. He received the Alumni Award for Distinguished Service from the University of Chicago (1992). Among international awards and recognitions, he was bestowed an honorary membership in the Association of Surgeons of Great Britain and Ireland (1981) and an honorary fellowship of The Royal College of Surgeons of Ireland (1997). He served on the editorial board of numerous surgical journals and was co-founder and editor of the Journal of Gastrointestinal Surgery. Keith Kelly will be remembered for his skill and leadership as a clinician, and his integrity as a scientific investigator and mentor. He was a beloved husband and father, and was admired for his honesty and joie de vivre. He is survived by his wife, Ann W. Kelly, and four children--Erin Kelly, Heather Kelly-Hedrick, Rosemary Kelly, and Jason Kelly--nine grandchildren, and his brother Robert D. Kelly. A celebration of Keith Kelly’s life is being planned in Seattle for September 2017. In memoriam, the family would appreciate donations to the Mayo Foundation, the University of Washington Harborview Fund for Greatest Need, or the University of Chicago Medical School. I worked as a CST in Surgery at St . Mary's Hospital Rochester Mn. I handed him his surgical instruments and worked as his circulating CST. He was such a joy to work with and support his patients. We had many laughs, and he had the most funny sayings. Truly honored to work with him. So sorry to Dr Kelly's family for his passing. I hold fond memories and great work days. Dr. K. Kelly operated on me in Scottsdale in Nov. 1993 and I will remember his display of personal kindness and concern after my recovery. Many other doctors in the Phoenix area have spoken highly of his skills.